I had such fun using gold and silver for the PTI blog hop today, I decided to make another card. For this card, I used the diagonal cover plate cut from silver paper for my background. Then I embossed the scribble circles in white and just swiped the Delicata ink pad over the top of them until they were all gold and sparkly and gorgeous!! I cut them out and popped them up with some foam tape. A small sentiment also stamped in gold Delicata ink finished it off! When I was thinking of this card, I wasn't quite sure how it would turn out, but I am happy with it! Thanks for some sparkly fun PTI!! I hope you all had a very Merry Christmas yesterday and enjoyed some time with family and loved ones! 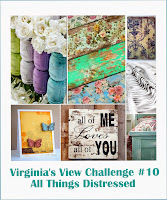 Today is the Papertrey Ink blog hop where the theme is to use both gold and silver. What beautiful inspiration photos Nicole had on her blog to jump start our creativity! My first card uses the rustic wreath stamp set which I embossed with silver embossing powder. Then I added a sentiment stamped in Delicata gold ink. For a final touch I added some gold washi tape and some splatters from Heidi Swapp's gold spray. Such a beautiful combination. 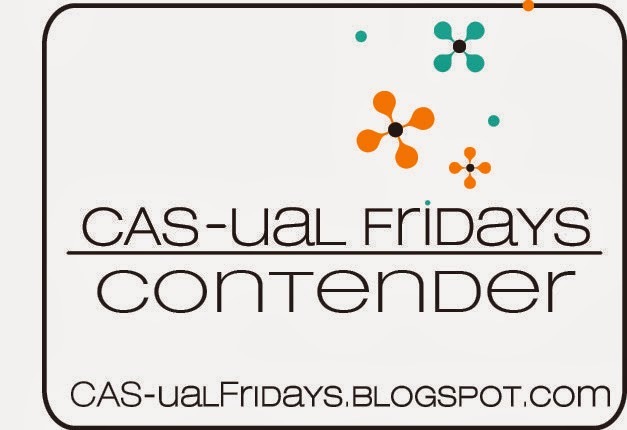 I am thrilled to be joining the CASology team as a guest designer this week! 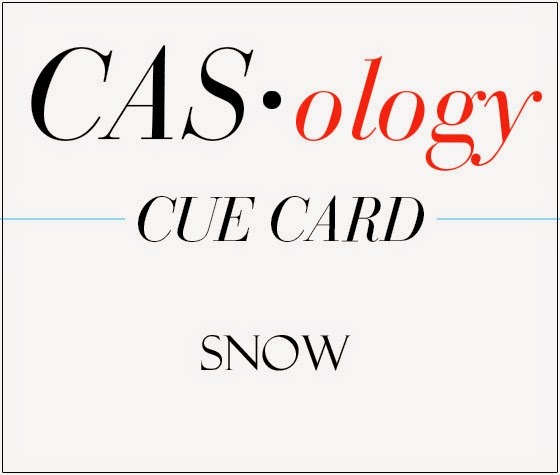 The cue card is a fun one to play with - SNOW. 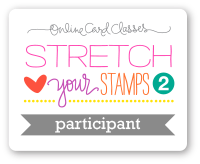 A perfect cue word to be able to create those last minute Christmas cards you may still need! Or am I the only one who has last minute cards to make?? I used the always fun inlaid die cut technique with my snowflake dies from SSS. I cut them from white cardstock and then inlaid them back into the negatives that I cut from Bazzill Candy Buttons cardstock. The small sentiment from SU is embossed in white to tie in with the white snowflakes. Thanks so much to the CASology team for having me this week! 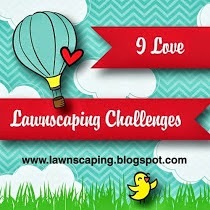 Click here to see what the rest of the design team created and to play along. I would love to see what you come up with for this great cue word! Today I am sharing a card that I CASE'd from the talented Heather Campbell. She made this great card that she shared over on Ellen Hutson's the CLASSroom back in October. I finally got around to making one like it. So fun!! I love the soft colors with the pop of black and the bokeh effect. I think I need to make more cards with that fun look. Another fun card to share made with the adorable penguins from Mama Elephant. I masked off a border, stamped my sentiment in white embossing powder, then sponged over it with tumbled glass and broken china distress ink. Then I added the cute little penguin to look like he skated the Merry message. I couldn't resist adding that super cute little present! 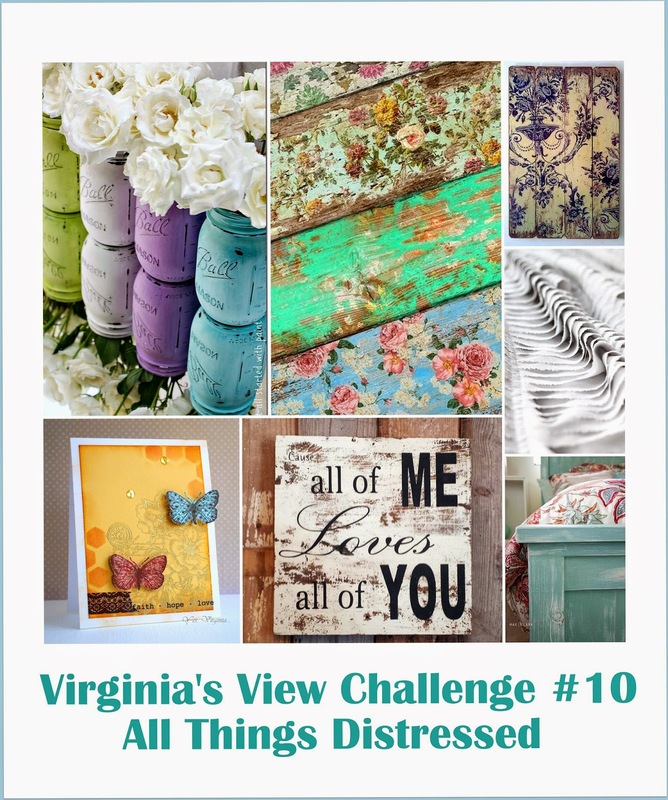 I am linking this up to Virginia's View Challenge where the theme is 'Distress'. Are you getting excited about the upcoming holiday or just stressed out? I am a little of both I think. I feel like there is still a lot left to do, I don't have all my cards made yet, I haven't baked a single cookie, and there are presents to buy and wrap still . But at the same time, it is so much fun to listen to Christmas songs while crafting and making something that you know others will enjoy! This card was made with the Starry Sky background stamp from Hero Arts and the Memory Box Glowing Candles die cut. The paper is SU Old Olive and Real Red. I was really happy with the way it turned out. What are you most excited about this Holiday season?? The Hero Arts Flickr group held another 90 minute scramble on Saturday. The theme was to use an older HA Christmas/Winter stamp that hasn't been used in a while and show it some love again. I have this very old HA snowman that I haven't used in a long time. In fact it might be one of the first stamps that I ever bought!! I stamped him and colored him in. Then I used a trick from Jennifer McGuire - use rubber cement to form a mask so you can add color to the background! It worked perfectly! After covering the snowman in rubber cement and letting it dry, I added tumbled glass and faded jeans distress ink. Then I just rubbed away the rubber cement and my little snowman was protected from the blue inks. I dry embossed the card base with a swirl pattern that reminded me of snow swirling in the background. A little candy cane twine to finish it off! 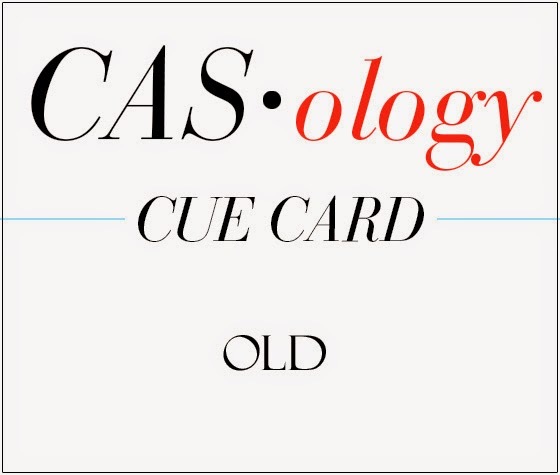 Since this stamp is pretty old, I am entering this into the CASology challenge this week where the cue card is OLD. I haven't played along in the Tag your it challenge before. 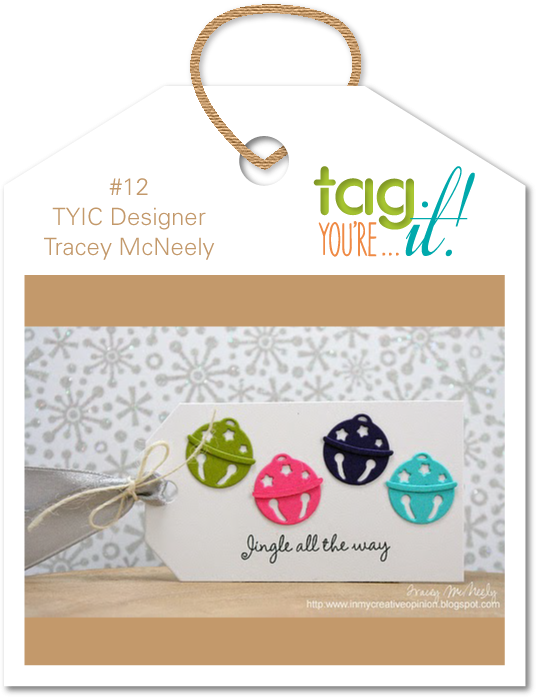 But when I saw Tracey's inspiration tag I knew I had to!! Her tag had cute little jingle bells on it, and I immediately thought of the peppermint candy die that I have. This was so easy to make but I really like the way it turned out! The sentiment is a mix of stamps put together to form the saying I wanted. It was perfect for the candies!! 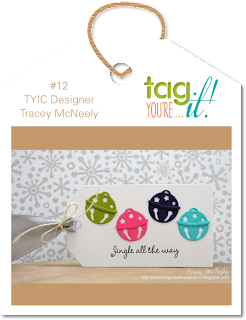 I made this cute card and tag with some stamps I picked up at Impress when I was there taking a class last month. I love this little snowman embossed in white! He is just so cute!! I stamped the trees in SU Garden Green and added some snow on the branches with a white gel pen. Love that effect - so cool. For the tag I decided to use snowflakes instead of the trees. I was really happy with both of them. Last month I signed up for Deborah Nolan's Card Chain Challenge (CCC) and had such fun sending and receiving a card, so I decided to play along again for November. This is an international card chain, where anyone can sign up and they send a card to the person above them on the list and receive a card from the person below them. Deborah has a sketch to follow, colors to use and a theme that you can play along with. I decided to use the sketch and the theme of leaves. I sent this card off to the lovely Lucille who lives in Colorado. I hope she likes it! The little squirrels are from a SU set, the sentiment is Lawn Fawn, and I can't remember who make the patterned paper, but I thought the leaves would be perfect with the cute squirrels sharing a nut! They are stamped on the inside of the card, with the circle window letting you see through. 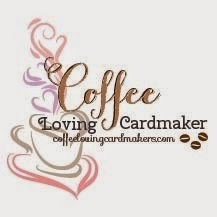 Check out Deborah's blog for the full reveal of all the cards that went around the world in the CCC this month.